Moreover there are specially added features of the game, which immensely boosts re-playability are the achievements and the competitive scoring. While things have been a bit busy schedule for me as of late, I still manage to make some time for popular Solitaire games when I have some leisure or downtime to spare. For these special moments in time, I always wish to enjoy a scintillating game, but I also primarily like to take out some stress with some exclusive fun action. TriPeaks Solitaire Challenge from XI-ART Inc. is a fresh new way to play the game on your iOS or Android devices. 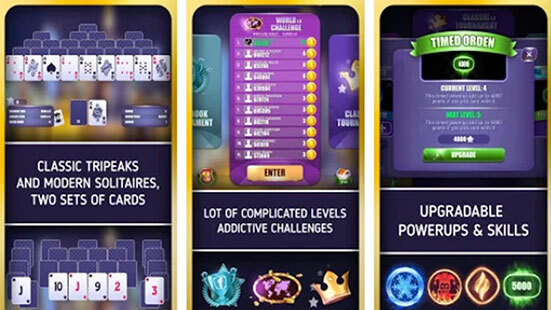 Whether you are on a plane, at school, or taking the train to work TriPeaks Solitaire Challenge would be ideal game to play. Most of us play the basic Solitaire utilizing real deck of cards or online. Bringing this classic game to mobile devices is quality way to pass time anywhere you go. This free to play game would certainly peak your interest. As soon as the player begins the game, they will be presented with a Facebook login page to connect with friends. Once connected the player is generally introduced to a tutorial showing the player the basic gameplay mechanics of Solitaire. After the tutorial the player is taken to the main menu where one could choose from three options, World Challenge, Classic challenge and Facebook Tournament. These offer the player the option to compete against their Facebook friends or people from around the world. Moreover there are specially added features of the game, which immensely boosts re-playability are the achievements and the competitive scoring. This actually offers the player more incentive to keep playing and to do better in game. It is noted that the leader board does keep the game from getting boring because the player is constantly trying to ameliorate one’s score and to unlock more rewards. The power ups add a new innovative way of playing Solitaire, which gave more time to play in return earned a better score. One must also appreciate that the graphics in the game are high quality, as the developers boast. The animations are also smooth, people enjoyed watching the cards being dealt and never noticed any lag. The sound fx were also qualitatively implemented well and never were repetitive. After playing TriPeaks Solitaire Challenge on the plane, as well as many times after I got back over the weekend, I must surely say that it is far from disappointing. Needless to say, I think that acumen developers did an awesome job with terms of game plan, which I think are worth the price of buying. I think it surely is fun and interesting enough that it actually keeps you coming back for more. 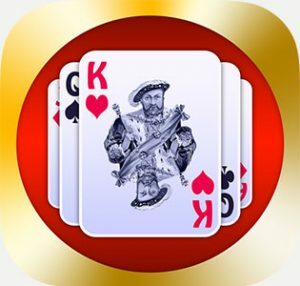 If you’re a passionate fan of Solitaire games with little to no guidance, well, it will be right up your accolade. 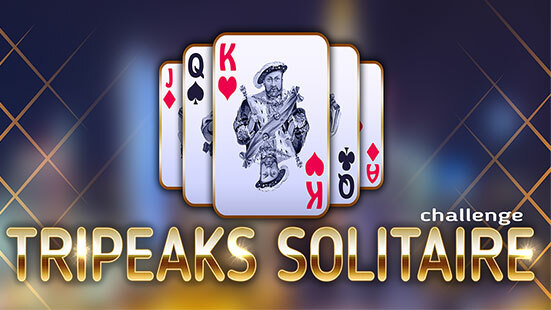 Altogether TriPeaks Solitaire Challenge from XI-ART Sp.z o.o, is one of the best Solitaire games people have played and would strongly recommend to download it, particularly if you are into card games. This app takes what you adore about Solitaire and improves upon it. This game is free to play and offers some good challenges, so give it a try.